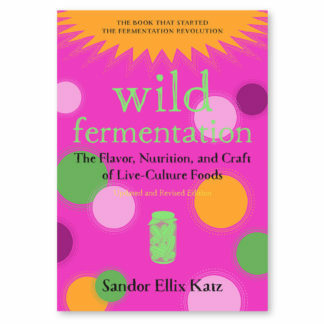 Since its publication in 2003, and aided by Katz’s engaging and fervent workshop presentations, Wild Fermentation has inspired people to turn their kitchens into food labs: fermenting vegetables into sauerkraut, milk into cheese or yogurt, grains into sourdough bread, and much more. In turn, they’ve traded batches, shared recipes, and joined thousands of others on a journey of creating healthy food for themselves, their families, and their communities. Katz’s work earned him the Craig Clairborne lifetime achievement award from the Southern Foodways Alliance, and has been called “one of the unlikely rock stars of the American food scene” by The New York Times. Sandor Ellix Katz, winner of a James Beard Award and New York Times bestselling author, whom Michael Pollan calls the “Johnny Appleseed of Fermentation” returns to the iconic book that started it all, but with a fresh perspective, renewed enthusiasm, and expanded wisdom from his travels around the world. 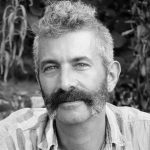 This self-described fermentation revivalist is perhaps best known simply as Sandorkraut, which describes his joyful and demystifying approach to making and eating fermented foods, the health benefits of which have helped launch a nutrition-based food revolution. This updated and revised edition, now with full color photos throughout, is sure to introduce a whole new generation to the flavors and health benefits of fermented foods. It features many brand-new recipes—including Strawberry Kvass, African Sorghum Beer, and Infinite Buckwheat Bread—and updates and refines original recipes reflecting the author’s ever-deepening knowledge of global food traditions that has influenced four-star chefs and home cooks alike. For Katz, his gateway to fermentation was sauerkraut. So open this book to find yours, and start a little food revolution right in your own kitchen. Sandor Ellix Katz is a fermentation revivalist. A self-taught experimentalist who lives in rural Tennessee, his explorations in fermentation developed out of overlapping interests in cooking, nutrition, and gardening. Wild Fermentation, originally published in 2003, along with his The Art of Fermentation (2012) and the hundreds of fermentation workshops he has taught around the world, have helped to catalyze a broad revival of the fermentation arts. Newsweek called Wild Fermentation “the fermenting Bible,” and The New York Times calls Sandor “one of the unlikely rock stars of the American food scene.” For more information, check out his website www.wildfermentation.com.